It’s Cricket Australia’s free hit to Pat Cummins. On the back of four Tests in South Africa, go knock yourself out in the Indian Premier League. It takes an extremely generous employer to provide the perfect shop front for a rival league to pounce on your best talent, and then not get any compensation for releasing those most valuable assets mid-contract. 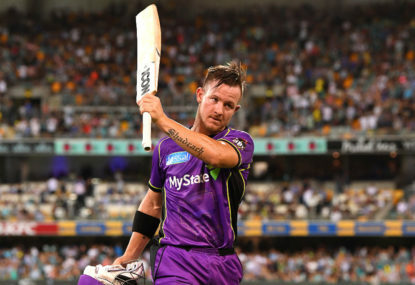 The scenario is as good as an $18 million gift from Cricket Australia to 19 of its top cricketers headed for this year’s IPL. The IPL has become a behemoth – easily world cricket’s most dominant T20 tournament – and surged recently thanks to a bumper new broadcast-rights deal of $3.2 billion that meant salary caps grew by 20 per cent. Cummins’ injury woes over the years since his Test debut in Johannesburg in 2011 have been well documented. He got through 197.1 overs during the five Ashes Tests and his 23 wickets were a big part of Australia’s crushing 4-0 series triumph. Steve Smith will look to Cummins to get through plenty of work in the South Africa series starting in March, when Australia face four brutal Test matches against a top-drawer side. But Cummins won’t put the feet up with the aim of recuperating for a one-day series in England in June. The last Test is due to finish on April 3, and the IPL starts on April 7. It finishes with the final on May 27. There’s cash to be made. Lots of it for Cummins, who will be paid $1.05 million by the Mumbai Indians. It’s mind-blowing money for eight weeks of work. But the most bewildering part is that his employer, CA, don’t get anything in return for risking their prized fast bowler. So much for protecting your assets. The players are given no-objection certificates (NOCs) to ensure their availability for the IPL. “But we’re very strong in our position that Test cricket is absolutely number one,” Cricket Australia boss James Sutherland said recently. 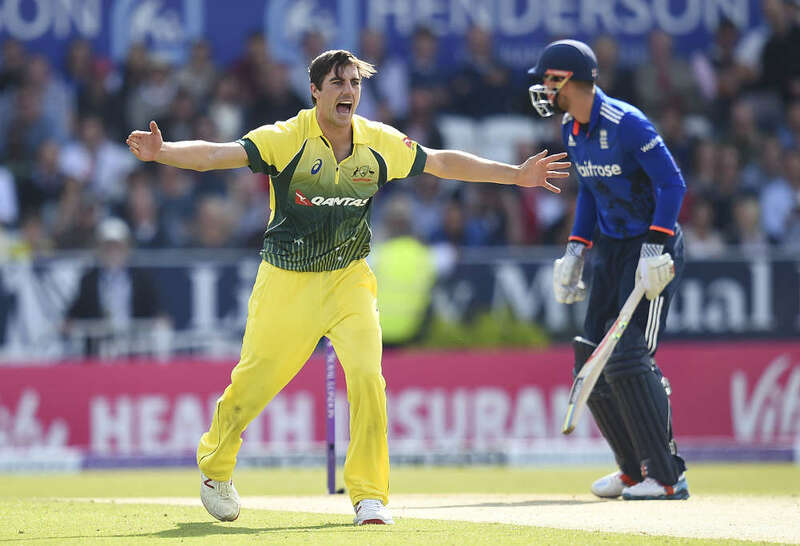 With an eye to the 2019 Ashes in England, Mitch Marsh had the right idea – presumably encouraged by CA – to forgo the IPL and have a county stint with Surrey. Australia’s elite cricketers certainly can’t be blamed for wanting a slice of the IPL riches. CA would probably prefer to reel it in a touch, but last year’s pay dispute proved that player power rules. Still, why couldn’t CA have pushed for some kind of levy on IPL contracts? Say, a five to eight per cent contribution that goes directly towards funding programs at home – sending an Indigenous team for an overseas tour, paying for junior female competitions, getting a team of country kids to England on tour, and contributing to CA’s Cricket Inclusion programs? The total value of IPL contracts for Aussie players is about $18 million – so a five per cent levy would feed $900,000 back. Not a massive pool of money when stacked up against the about $350 million annual revenue generated by CA. But, nonetheless, it at least signals an intent that CA won’t be bullied into submitting to the many T20 leagues around the world – most notably the IPL. The Big Bash League is an ideal stage to land the big deals. How does D’Arcy Short go from being a fringe Sheffield Shield cricketer for Western Australia to earning $100,000 a week in the IPL? The BBL – and their cushy release clauses. Some might argue a tax or levy would be a restraint of trade, but the NOCs are issued mid-contract with CA. Soccer players on loan to other clubs come with a transfer fee. It’s entirely rational. Does the Board of Control for Cricket in India (BCCI) release their players for any overseas T20 competitions? No. Steve Smith will get $2.4 million from the Rajasthan Royals, David Warner $2.4 million at Sunrisers Hyderabad, Mitchell Starc $1.82 million at the Kolkata Knight Riders. Josh Hazlewood, Shaun Marsh and Nathan Lyon were among those unsigned at auction, so it’s not all bad news for the current Test team. And those players should be ready to focus on Australia’s interests as stated by CA: look towards international matches, build towards the domestic one-day cup and Sheffield Shield seasons. If they want to step outside those objectives, why shouldn’t a small levy apply? If Cummins wants to go from an arduous Test tour against the Proteas straight to the IPL, then CA’s risk should be accounted for. That’s only a prudent way to protect an investment. And if D’Arcy Short doesn’t have the BBL shop front – beautifully timed, leading into the IPL auction – then he doesn’t have a way of cashing in at auction time. A tax makes solid business sense.